As Disney continues to expand the Star Wars universe, one movie expected to come out in the near future will star Boba Fett. According to The Hollywood Reporter, Logan director James Mangold has signed on to write and direct the film, which will center on the legendary bounty hunter (who had a not-so-legendary moment in Return of the Jedi). The standalone film will join the likes of Rogue One: A Star Wars Story and Solo: A Star Wars Story, the latter of which releases on May 25. Very few details about Fett's upcoming project are known at this time, such as when it will take place. But the prospect of Mangold creating a new narrative around the character is hugely exciting. The director proved his writing and directing prowess with last year's Logan, providing audiences with a gritty, more grounded take on the clawed mutant. While the standalone Boba Fett film won't feature the same level of violence, expect it to have a similar feel, creating a great character study while elegantly expanding the character's full history. Which, for most Star Wars fans, only includes Boba Fett meeting his apparent demise after falling into a Sarlaac Pit. The Boba Fett film is reportedly being developed alongside a standalone Obi-Wan Kenobi film, which may see Ewan McGregor once again don his Jedi robes. 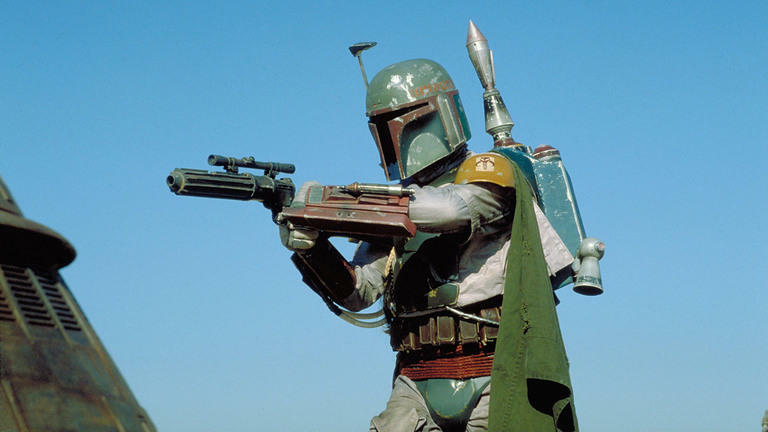 Much of Fett's popularity comes because of his Mandalorian armor. Simply put, he's one of the coolest looking characters in the galaxy, which helped him garner a cult following among Star Wars fans. But few people know of his backstory, which was explored in the Star Wars prequels. He was actually raised by Jango Fett as an unaltered clone. The untitled Boba Fett movie will join Star Wars: Episode IX, along with new trilogies from Rian Johnson and the duo behind Game of Thrones.